The Brass Magnifying Glass Keychain is a handcrafted accessory made with historical style in mind. This brass keyring has a functioning, miniature magnifying glass as its accent, perfect for helping read little text in a pinch. 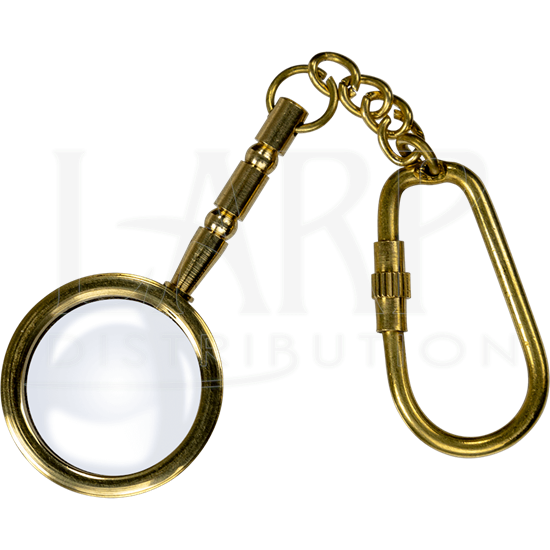 The magnifying glass has a segmented brass handle, the end of which is attached with a chain to the oval-shaped ring. A knurled knob fastener makes this nautical keyring easy to open and secure when shut. Whatever adventures your daily life has in store, you can keep your keys together using this nautical brass magnifier keychain.